Dashlane 4.0 has been introduced, and it is now available for download. The LastPass alternative boasts a fresh new UI. Every important form in this application has been redesigned. 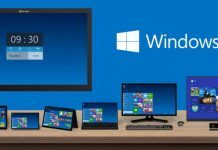 The changes to the user interface will reflect in the Android, Macintosh, IOS, and Windows version of the password manager. Unlike, Dashlane 3.00, this new software now gives you the option to switch between 2 views i.e. grid or list. It has a sort module to filter and find websites and saved services quickly. When you log into this service, you’ll find a left sidebar, a top menu bar, a list of saved websites. The sidebar features hyperlinks or buttons to open the password manager, security dashboard, secure notes, wallet and the contacts. The wallet section allows you to manage your personal information and payment methods i.e. credit or debit card details. When a transaction is complete, Dashlane will automatically capture a screenshot of the receipt so that you can easily find it when needed. When you use the digital wallet feature of this software, you will not have to enter your bank details every time you try to make a purchase on a website. As of now, 618 major banks are supported. Dashlane allows you to change the password of your favorite website from its dashboard. This feature is supported on around 190 top sites. Dashlane 4.0 lets you create secure notes with any of its eight new and powerful templates. It is entirely compatible with the new force touch feature of Apple devices. It maintains a history of all used and generated passwords. Thus, it’s now possible to check the date on which the password was created, changed or saved. Dashlane 4.0 is now a multilingual application. It supports seven international languages. If you’re from Spain, Germany, Italy or Portugal, you can use the software in your local language. 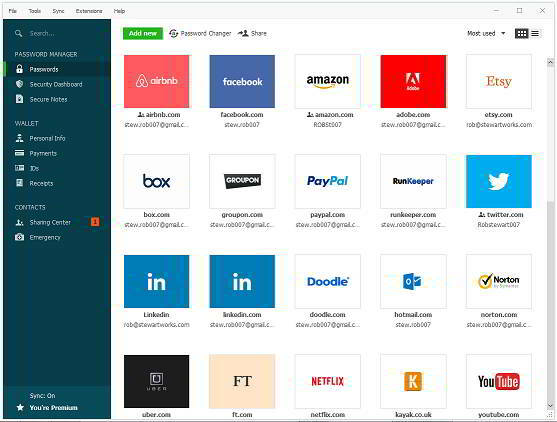 For saving website passwords on the fly, making payments faster, auto filling website forms, you have to use the new and powerful Dashlane 4.0 extension. If you’re using an IOS version of this app on the Apple iPhone, you will be able to log into around 189 apps instantly. To try out the latest edition of Dashlane, download its setup file from the official website and install it. I tried to install this free password manager on my laptop. The application was installed successfully, but I was not able to complete the signup process of Dashlane. The software threw unknown error [-1120] each time I clicked on the confirm password button for creating an account. Have you used the latest version of Dashlane?